In AbtracOnLine invoice payments and outstanding accounts can be managed independently from your accounting software with our optional Debtor Management module. You can record invoice payments, account for write-offs and adjustments, and report on your debtors from this add-on module. From Debtor Management choose Invoices and Payments. 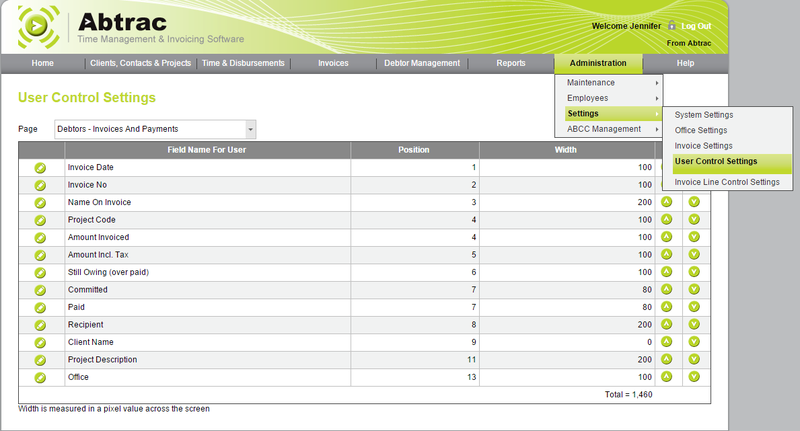 Like most screens in AbtracOnLine you can change the display order of these fields from Administration > User Control Settings > by choosing the “Debtors – Invoice and Payments” page. 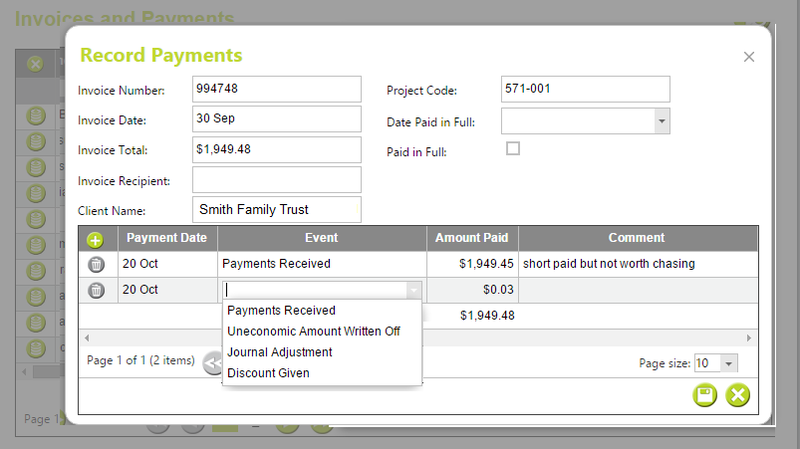 The Invoices and Payments screen filters by the Paid column, and will show only Unpaid (Unchecked) invoices by default. 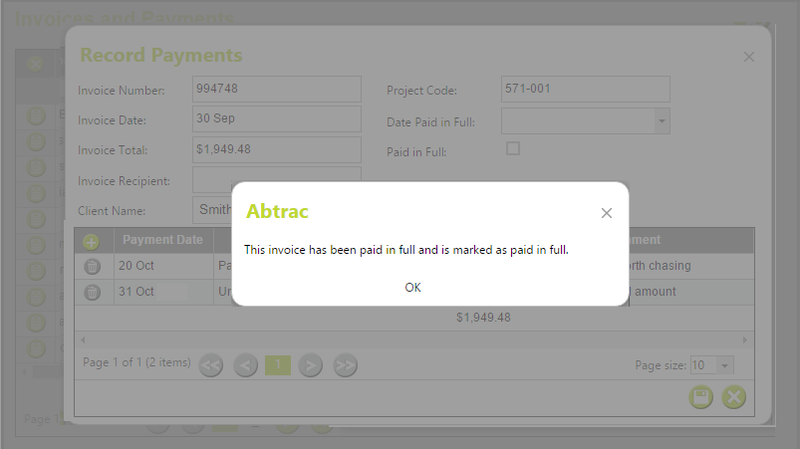 Click on any invoice number to preview the invoice. 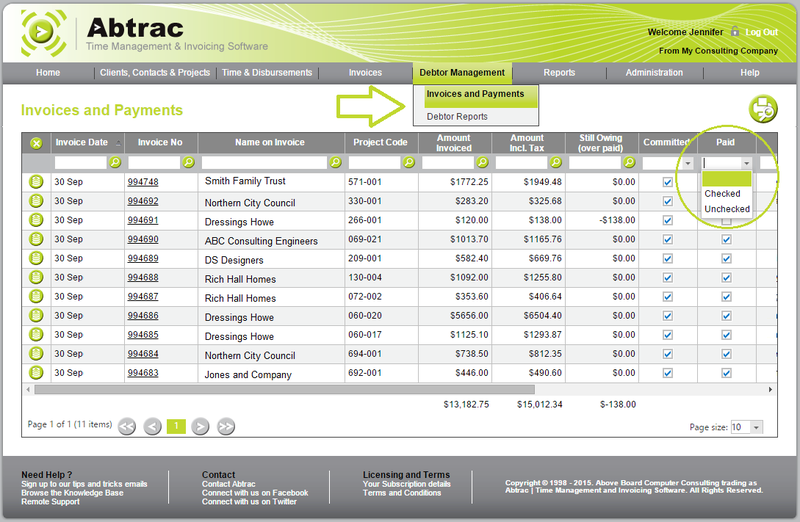 The print option will display the invoiced and outstanding amounts for the current selection. 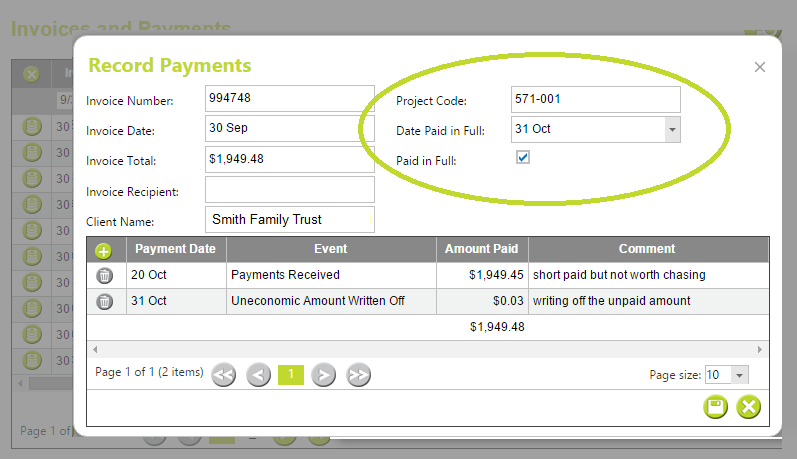 To record an invoice payment click the button on the corresponding invoice row. From the payments pop up there are four payment events to choose from: Payments Received, Journal Adjustments, Discounts Given and Uneconomic events written off. These four options are then used in debtor reporting which we’ll cover in a later article. You can also entered detailed comments with each payment event. You’ll need to save your entries before closing this screen. Once the payment(s) equal the invoice amount the invoice will automatically be marked as Paid in Full with the latest/most recent payment event date. This date can be reset or changed back in the record payments screen and is used as the date for payments in debtor reporting. This entry was posted in Debtor Management, Invoicing and tagged debtor module, invoices, payments, user control sett, write offs by Jen. Bookmark the permalink.